Advocates say Senate Bill 40 does something simple: It brings the Colorado Open Records Act into the 21st century by requiring state agencies to provide information in a digital format — such as a database or a spreadsheet — where feasible. “These are the people’s records. 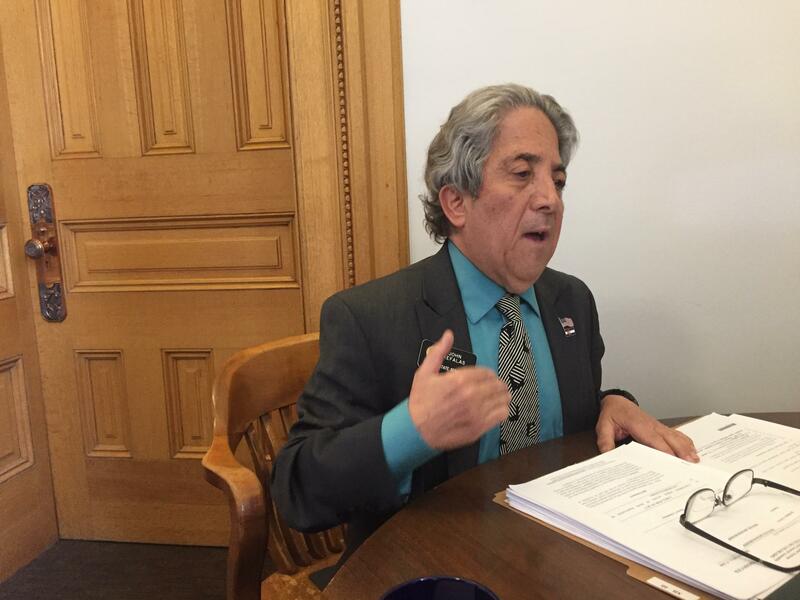 We are the custodians, we are the stewards of these records,” said Democratic Sen. John Kefalas of Fort Collins. He’s the main sponsor of the bill. For some, the issue is more complicated. A similar measure proposed last year failed amid concerns about costs and privacy, such as how to handle sensitive personal information that could be contained within a file. For the last year, a bipartisan group has worked on ways to address those issues. After a lengthy hearing and much debate, a proposal to modernize public records law for the digital age cleared its first committee. The proposal comes with many stipulations in which digital records aren’t required — if it’s not technologically possible, if private information can’t be removed, if special programming is required or if it could cause safety or security problems. Still, some remain wary of releasing information digitally, including many schools, colleges and even water districts. “You create a situation where an entity could go out and look for multiple weak points in the system, and attack them,” said Doug Kemper, the executive director of Colorado Water Congress, a statewide water advocacy group. He worries that the bill would put the state’s water infrastructure at risk. Others fear agency staffers could make mistakes and accidentally release confidential private data that is not subject to open records law, such as health information. Democratic Sen. Steve Fenberg of Boulder said mistakes could still happen, as it is common practice for an agency to simply print information from a database when an open records request is filed. “To me, in some ways, it seems like making a ton of photocopies, and having various pages that a social security number could exist on, is just as likely to accidentally result in providing that information if not more likely,” he said. The newspaper then requested a copy of the university’s electronic spreadsheet, but that request was denied. Gustus said a reporter spent three weeks creating a database from the printed document. Advocates for the bill argue that it shouldn’t be difficult to access information that is legally public and contained in a simple file. SB 40 passed its Senate State, Veterans and Military Affairs committee hearing with a 4-to-1 vote. The lone “no” vote, cast by Sen. Jerry Sonnenberg (R-Sterling), called the measure a nightmare. Most of the other committee members — two Republicans and a Democrat — voted in favor for now, but expressed qualms. Mike Krause, with the right-leaning think tank the Independence Institute, criticized politicians for dragging their feet. He hinted at a statewide ballot initiative should things fall apart. While it cleared its first hurdle, advocates said the bill’s long-term fate is uncertain. The hearing had already been delayed twice over concerns, and a side issue tangentially related to the bill led The Grand Junction Daily Sentinel to threaten a defamation lawsuit against the committee chairman Ray Scott. Supporters said several last-minute amendments also might derail it, including one that would expand the open records act to include the Judicial Department, and another that could make fewer government records open to the public. Supporters said they plan to assess the impacts of those amendments before the bill’s next debate.